If you have been an active couponer for any extended length of time then you likely know exactly what we are talking about. It’s the day that you wake up and just don’t feel like searching for coupons before you go to the grocery store. Trust us when we say that you are not alone. So many people, ourselves included, have fallen into this rut. In fact, many years ago I held a community coupon class and met a woman full of energy and money-saving motivation. She was so dedicated she made us look like coupon amateurs and we were so impressed by her drive and ambition to save money. Fast forward a year later when we ran into her while at a community event and so much had changed. She hadn’t been couponing at all as several changes in her life made it just too difficult to do. We were shocked to see the complete 180 degree turn she made in such a short amount of time so we decided to write about this topic in hopes that one of you struggling with this may benefit. Here we will discuss common reasons this occurs, what exactly is happening and what you can do if you find yourself falling into a rut. Yep, you swore up and down that you would never pay full price for products such as toilet paper, toothbrushes, cereal, diapers and baby food but now you find yourself doing just that. You may not necessarily be happy about it but you are doing it anyway. Let’s face it the vast majority of us started using coupons because of the financial benefit they provided us. If this financial gain is no longer a motivator then it is very easy to fall from the coupon habit. There are several reasons for this but all of them lead back to you paying more money each week for less overall gain. When your daily or weekly coupon hunt begins to feel like work then you will inevitably begin to look for excuses to NOT do it. It won’t take long before you are paying full price for everything and not clipping any coupons at all. Nothing is more annoying than that voice in your head (commonly referred to as your ‘gremlin’) telling you that something you are doing it just not worth the time or aggravation. 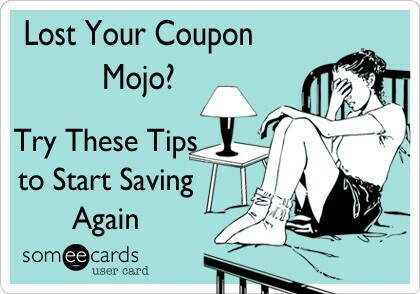 This is a common occurrence with couponers who are struggling to keep their desire to save. Don’t worry if any of the above statements describe the feelings you are having. In fact, we would argue that these are perfectly normal occurrences that all of us have experienced at one time for another. There are some things we recommend doing to kick-start your desire to save but first let’s talk about habits and how they are developed and maintained. By definition a habit is a regular tendency or practice; a routine of behavior that tends to come subconsciously. Developing a habit (good or bad) takes time and effort and just how much varies from person to person and the complexity of the desired behavior. There is no magic number of repetitions or weeks of a behavior before it will become a habit. Some studies suggest it may take a little as 18 days to as long as 8 months. We generally tell people to commit themselves to 60 days of a solid couponing effort before it will begin to feel comfortable and you become proficient with the whole couponing process. You may be asking yourself ‘what does building habits have to do with coupons anyway?’ Our answer: More than you think. Why? Because it takes time and dedication to become a proficient and effective couponer. Time to learn the process and effort to maintain your new behavior long enough for it to become a habit. Something you do without thinking about it. That is when things will slow down for you and the perceived ‘work’ of saving money will hopefully all but go away. If you don’t get to this point then it is very easy to quit coupons using the reasons outlined previously. Our lives of full of stressors already and it makes no sense to allow couponing to become just another one of them. If your family life is in chaos then that may be a good time to take a step back and prioritize your efforts. If that means that couponing takes a backseat then that is perfectly okay. Don’t overthink it. If you need a break, take it. This speaks to two different general areas. First, give yourself enough time to learn the ‘system’ of couponing and to develop a habit for saving. Don’t try it for a few weeks and then quit because it was ‘too difficult’. Second, set aside time dedicated specifically to couponing. Maybe 30-60 minutes each Sunday morning (the majority of coupons are released on Sunday). Having a more structured approach to couponing may help many of you who have fallen into a savings rut. This is a major issue especially for those new to couponing. Setting unreasonable goals not only leads to disappointment but it can ultimately cause people to quit couponing altogether. It is always best to set your initial goals low and then build your momentum upward. Also, if you started couponing because you thought you would get all your weekly groceries for $10 then you were grossly misinformed. When you’re in a rut sometimes just the act of getting organized can help make the process much less cumbersome and taunting. Couponing is no different. If you are disorganized it makes couponing that much more stressful and that doesn’t help create positive momentum. Maybe it’s time to look into creating a coupon binder. Click HERE for more helpful tips on this topic. Having a partner to work with may help add some ‘fun’ to the act of couponing. Not only that but it will also allow you the ability to trade coupons with each other and it makes for a possible social event (coupon parties anyone?). In the end having a coupon buddy may help you feel more accountable to someone else and less likely to quit or stop when other areas of your life get too stressful. Joining and engaging in a coupon group on Facebook can also be a great way to ‘socialize’ with others of similar interest as yourself and at the same time gain access to coupons you would not ordinarily have the chance to get. 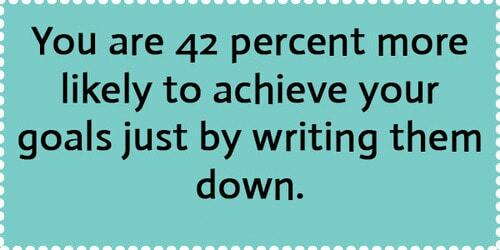 A recent study reported that the simple act of writing something down increased the chances of achieving a specific goal by 42%. It helps you to visualize what is otherwise difficult to see – the act of saving money. Keeping track of your savings will also give you momentum and a feeling of achievement which can be crucial to getting you through the first 60 days of couponing. If you’re in a rut then recommit yourself to keeping a basic coupon savings spreadsheet. Looking for some extra motivation? How about putting aside a portion of your coupon savings each week to be used for something fun – a family vacation perhaps? We have read stories about families that clip coupons solely for the purpose to save money for their annual Disney vacation. While that is certainly an impressive feat you don’t have to necessarily aim that high. Just think of a goal that will give you some extra motivation to save. If needed make a game out of it and get your kids involved. As silly as a savings jar may sound it can certainly serve a purpose and can be helpful for many families. As with most learned behaviors the act of couponing and saving money brings with it many peaks and valleys. It is perfectly normal for you to feel overwhelmed at times as life in general is just that – stressful. Just keep your head up and keep moving forward. Take a Deep Breath and Save!